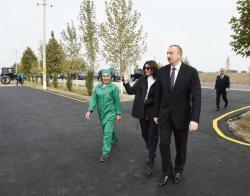 President of the Republic of Azerbaijan Ilham Aliyev and First Lady Mehriban Aliyeva have arrived in Aghdam for a visit. 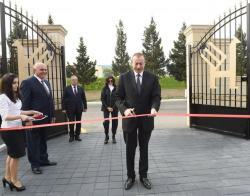 President Ilham Aliyev and First Lady Mehriban Aliyeva laid flowers at a statue of national leader Heydar Aliyev in the center of Guzanli settlement, Aghdam . 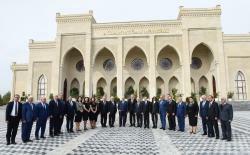 Head of Aghdam Executive Authority Vagif Hasanov informed President Ilham Aliyev and First Lady Mehriban Aliyeva of the work carried out in the region. 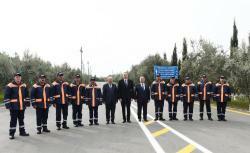 President of the Republic of Azerbaijan Ilham Aliyev has attended the opening of the newly renovated Guzanli-Imamgulubayli-Orta Garvand-Khindiristan highway in Aghdam. 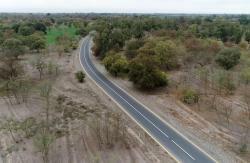 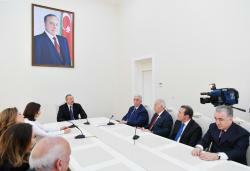 Chairman of the Board of Directors of Azerbaijan Highway State Agency Saleh Mammadov informed the president of the work carried out here. 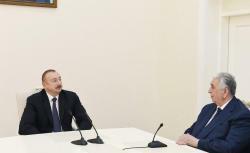 President Aliyev was also informed of the newly renovated 5.4-km long Afatli-Hajiturali-Hasankhanli highway, as well as the renovation work carried out on the 18-41km stretch of the Tartar-Hindarkh highway, and the 23-37km stretch of the Aghdam-Hindarkh-Aghjabadi highway. 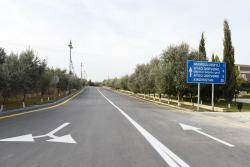 The renovated road projects also include the reconstruction of the Hajibadalli-Parioghullari-Tazakand highway in Aghjabadi. 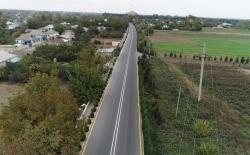 The president cut the ribbon symbolizing the opening of the Guzanli-Imamgulubayli-Orta Garvand-Khindiristan highway. 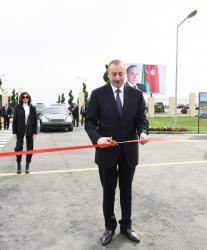 The president and the first lady cut the ribbon symbolizing the opening of the Mugham Center. 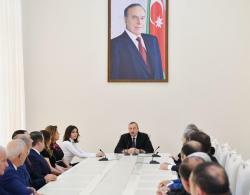 After touring the Mugham Center, the president Aliyev and the first lady met with representatives of the general public and art figures of Aghdam. 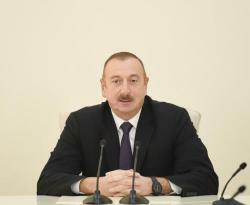 The president made a speech at the event. 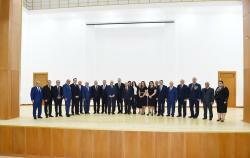 President of the Republic of Azerbaijan Ilham Aliyev and First Lady Mehriban Aliyeva have attended the opening of the Aghdam branch of Azerkhalcha Open Joint Stock Company. 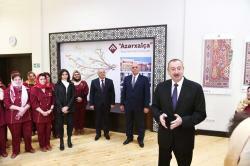 Chairman of the Board of Azharkhalcha OJSC Vidadi Muradov informed President Ilham Aliyev and First Lady Mehriban Aliyeva of the work done. 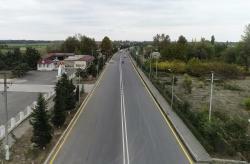 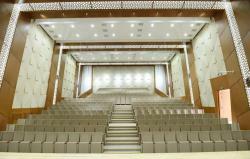 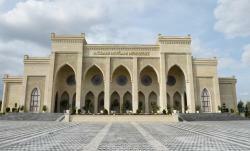 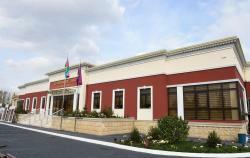 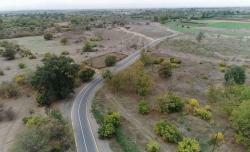 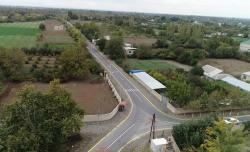 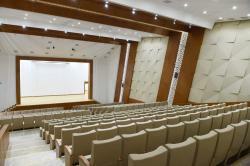 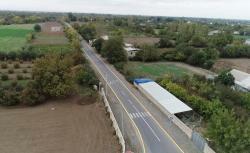 The Aghdam branch of the Azerkhalcha OJSC occupies a total area of 1,250 square meters. 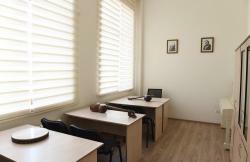 150 weavers and 14 administrative staff members will be employed in the branch. 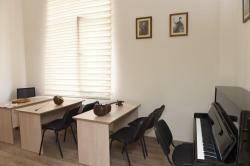 The building features a textile workshop, artist`s room, warehouse, canteen, medical point and sales room. 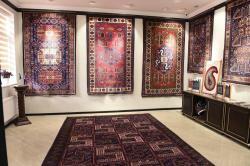 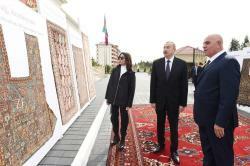 The head of state and the first lady then met with carpet-weavers. 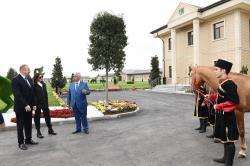 As part of their trip to Aghdam district, President of the Republic of Azerbaijan Ilham Aliyev and First Lady Mehriban Aliyeva visited farmer Asmar Huseynova`s four-hectare cotton plantation in Hindarkh settlement in Aghjabadi. 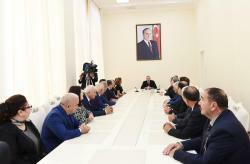 Head of Aghjabadi District Executive Authority Shahin Mammadov and Asmar Huseynova informed the president and the first lady of the work done on the plantation. 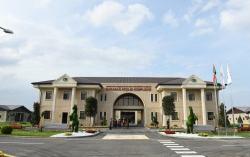 Cotton was planted in the 70 hectares of this plantation, and 253 tons of cotton were harvested last year. 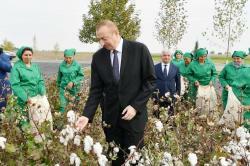 President Aliyev and First Lady Mehriban Aliyeva met with cotton growers and chatted with them. 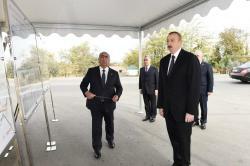 President Aliyev cut the ribbon symbolizing the opening of the complex. 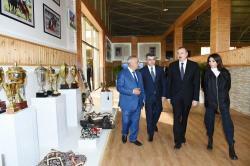 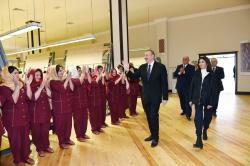 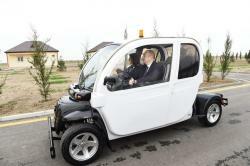 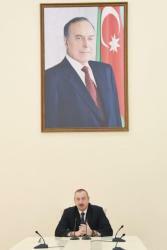 President Aliyev and First Lady Mehriban Aliyeva viewed conditions created at an indoor ring. 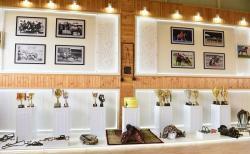 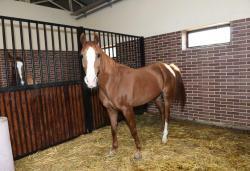 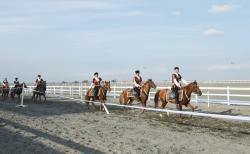 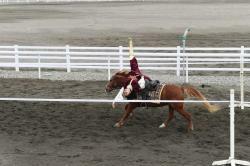 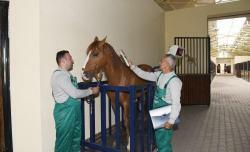 An exhibition on the history of Qarabag horses was also arranged there. 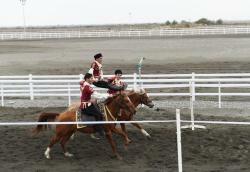 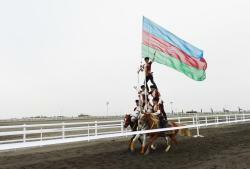 President Aliyev and First Lady Mehriban Aliyeva watched Azerbaijan's ancient national “Sur-papag” horse game. 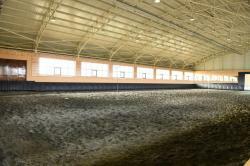 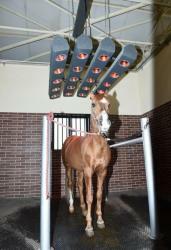 The president and his wife also familiarized themselves with the conditions created at a horse stable. 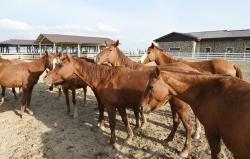 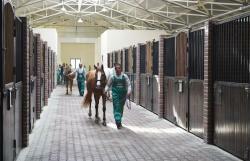 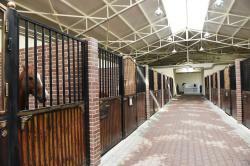 Two hundred Qarabag horses are kept there. 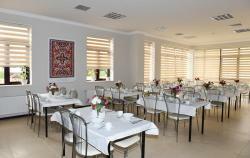 The complex employs 28 specialists. 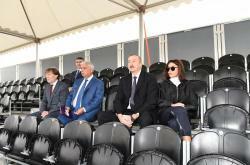 President Aliyev and First Lady Mehriban Aliyeva also watched performance of “Suvarilar” group of the Equestrian Center of the State Border Service.